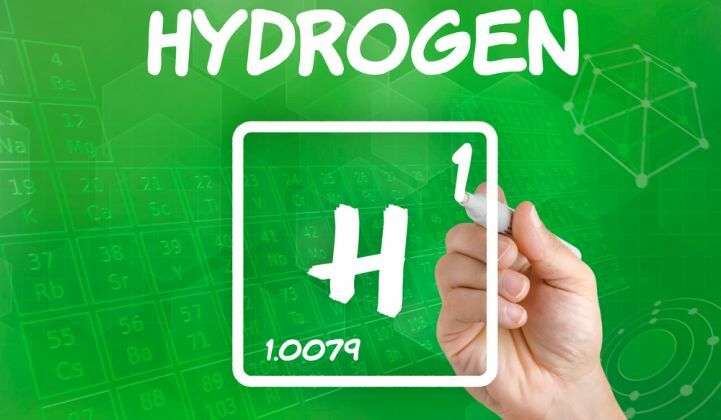 Fuel cells continue to strip hydrogen atoms of their electrons and investors of their money. 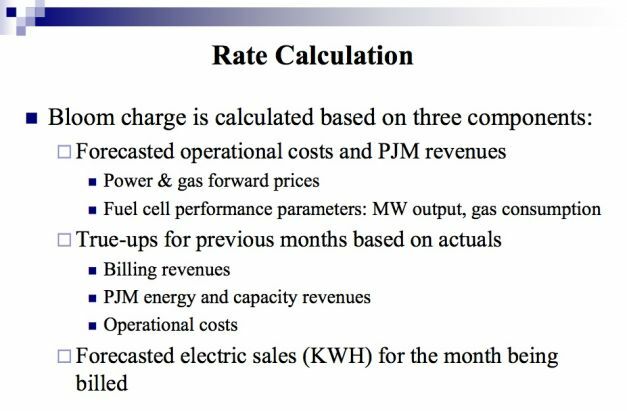 Delaware residents are noticing that "The Bloom Energy surcharge" on their electric bill has passed the $5 mark for the typical residential Delmarva Power ratepayer, hitting $5.48 for a customer using 1,000 kilowatt-hours of electricity per month, according to Delmarva Power’s latest filing on the subject to the state's Public Service Commission and reporting on the website Delaware Online. "The surcharge pays for electricity from two Bloom electrical projects linked to Delmarva substations in New Castle County," according to Delaware Online. Delaware's motivation in submitting to this surcharge is the potential creation of almost 1,000 jobs at the Newark-based Bloom fuel cell manufacturing site. The factory is on the grounds of an old Chrysler assembly plant that is now owned by the University of Delaware. In June 2012, GTM's Jeff St. John reported that Bloom's 30-megawatt project faced a lawsuit seeking to undo the project's financial underpinnings, on the grounds that it represents a “crony” deal that would unfairly charge utility ratepayers millions of dollars and effectively bar competitors from the state. The lawsuit, filed in federal District Court in Delaware, accused Delaware governor Jack Markell and the Delaware Public Service Commission of “unconstitutionally discriminating against Bloom’s competitors and taxing a segment of Delaware residents to subsidize the crony company." Oorja, which builds methanol fuel cells for materials transport and remote power, closed a Round E led by new investor Mingxin China Growth Fund along with "previous backers, including DAG Ventures, in the oversubscribed round," according to reports. The Fremont, California-based company claims its direct methanol fuel cell "is already in use by some of the world’s largest materials handling and telecommunications companies." The investment round follows a $4.2 million purchase order and distribution agreement in Latin America. Customers in the materials handling industry use the Oorja unit as an on-board battery charger for a variety of Class 3 vehicles. Oorja has focused on a narrow vertical for the last few years: battery rechargers or range extenders for industrial material handlers and forklifts. It might sound like a small market, but think about the fleets of material handlers and forklifts in big-box stores, distribution warehouses, and everywhere stuff gets moved. And there is a clear pain point for the customer. The current technology, lead-acid batteries, doesn't have the energy or energy density for forklift job requirements. Plus, the traditional technology has to be swapped out every four to six hours and then needs to charge for twelve to fourteen hours. The fuel cell solution keeps the forklifts in action without the recharge downtime. Plug Power, a Latham, New York-based maker of fuel-cell systems, is also going after the $20 billion materials handling market. Plug won a contract to supply power units, fuel and services at six North American distribution centers for an undisclosed retailer, according to a release which suggested that Plug will ship more than 1,500 units over two years. Intelligent Energy of London builds PEM fuel cells for automotive, consumer, and stationary applications. The firm has raised more than $130 million from investors including Meditor European Master Fund. Losses for 2011 were $18.2 million on sales of $23.5 million. Sky News reports that the firm has hired Barclays and Canaccord Genuity to advise it on a stock market floatation.